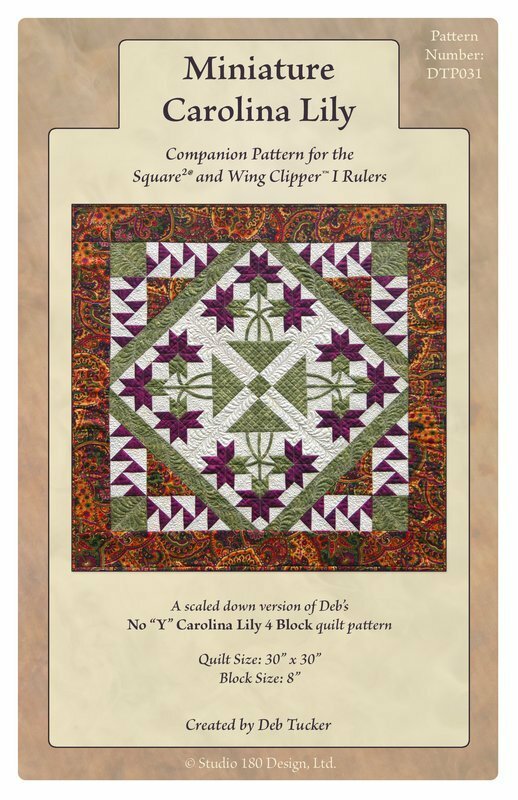 A downsized version of a best selling pattern (No “Y” Carolina Lily - 4 Block Quilt) this charming project is bound to become a favorite. The small Flying Geese units are easy to make and accurate when constructed with Deb’s technique and her Wing Clipper I tool. Add in a bit of applique and those Migrating Geese border sections and you’ve got one very special piece of quilted art.